A couple of brothers made baseball history when each of them hit the 100th home run of their major league careers on Friday, August 3. Justin Upton of the Arizona Diamondbacks hit his 100th homer in the second inning of his game against the Phillies in Philadelphia. Big brother B.J. Upton followed with number 100 in a home game against the Baltimore Orioles about an hour later. The Uptons are the sixth set of brothers in major league history to each hit at least 100 home runs. The other brother duos are Bob Meusel (156) and Irish Meusel (106), Joe DiMaggio (361) and Vince DiMaggio (125) (brother Dom DiMaggio hit 87), Ken Boyer (282) and Clete Boyer (162), Roberto Alomar (210) and Sandy Alomar, Jr. (112), and Brett Boone (252) and Aaron Boone (126). Each Upton brother also hit his 99th career home run on the same night–July 2o. By hitting their 100th homers on the same night, the Upton brothers can lay claim to the most amazing accomplishment by brothers on the same day in major league history. Or can they? The aforementioned Brothers Boyer may have done something even more amazing. 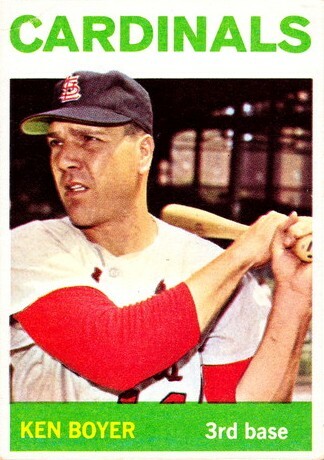 Older brother Ken, was an all-star third baseman with the St. Louis Cardinals and led them to the 1964 World Series. He had a great season that year, hitting .295 with 24 home runs and he led the National League with 119 runs batted in; he was the NL Valuable Player. He was a fine fielder, winning five Gold Gove Awards in his career. 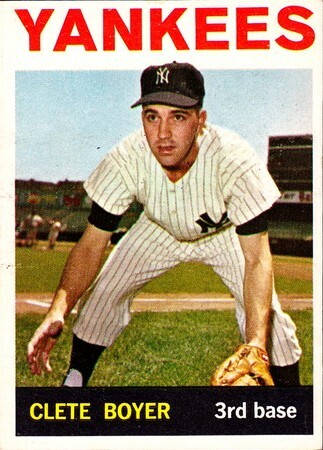 Clete Boyer was the third baseman on the dominant New York Yankee teams of the early 1960s. 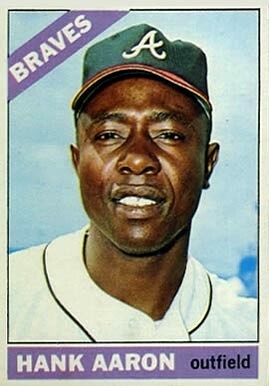 In 1964 his Yankees squared off against Ken’s Cardinals in the World Series. Clete hit but .218 that season with eight homers and 52 RBIs. Even though Clete was a clutch hitter, he was known more for his glove than his bat. He was a better fielder than Ken, but he never won a Gold Glove in the American League; Brooks Robinson had a monopoly on that award. Clete finally got one with the Atlanta Braves in 1969. Going into Game 4 of the 1964 World Series, the Yankees were up two games to one; they were leading 3-0 going into the sixth inning. Ken Boyer hit a grandslam off left-hander Al Downing and the Cardinals held on for a 4-3 win, evening the Series at two games each. The Cardinals won Game 5 and the Yankees won Game 6, setting up a finale in St. Louis on October 15. The Cardinals jumped out to a 6-0 lead with three runs in the fourth inning and three more in the fifth, but the Yankees scored three in the top of the sixth to make a game of it. Ken tacked on another run in the bottom of the seventh inning with his second home run of the Series. The Yankees trailed 7-3 with one out in the ninth inning when Clete launched a solo home run. 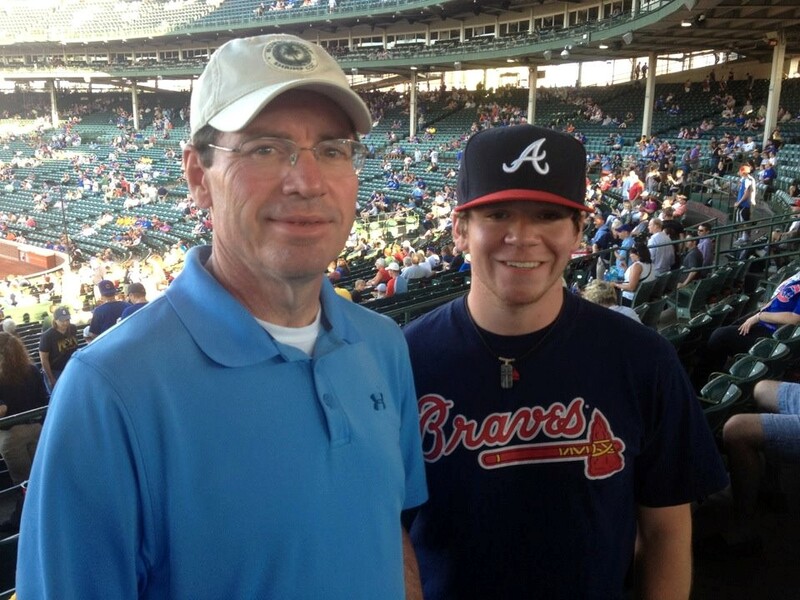 The Boyers remain the only brothers to hit home runs in the same World Series game. By the way, with two outs in the ninth inning, Phil Linz hit a home run for the Yankees, but the Bronx Bombers fell short 7-5 and lost the Series to the Cardinals. Ken Boyer’s grandslam turned the Series around for the Cardinals; without it, the Redbirds likely would have been down three games to one. The 1964 World Series was the last gasp for the Yankee dynasty. It would be 12 years before they would return to the Fall Classic. Baseball history is full of brothers who played against each other or played for the same team, so it is not that uncommon for brothers to compete against one another or for each brother to accomplish a great feat. If the Brothers Upton hang around long enough, then they just might match the Brothers Boyer by hitting home runs in the same World Series game. Until that time, Ken and Clete Boyer will hold the ultimate one-day accomplishment by brothers in baseball history.